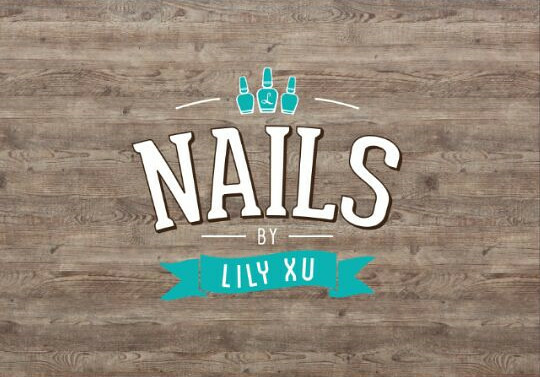 SHENNYYANG - Singapore's Lifestyle & Travel Blogger: Nails by Lily Xu! NAILS BY LILY XU!!!! 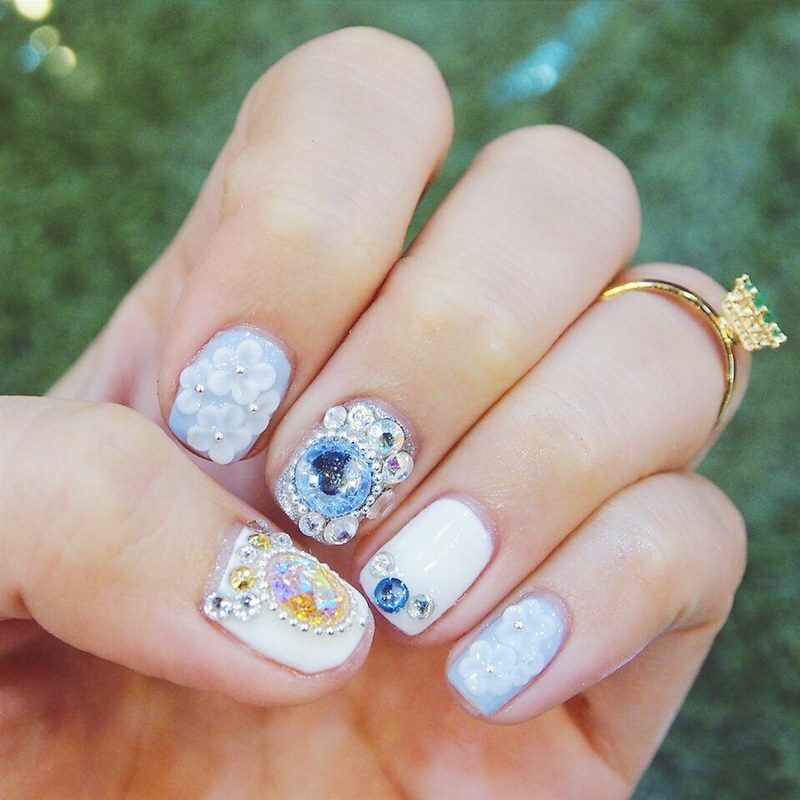 And this set of dazzling glamour nails were done by them! If you find the name "Lily Xu" familiar.... that's cuz she happens to be my hair stylist from Shunji Matsuo too! 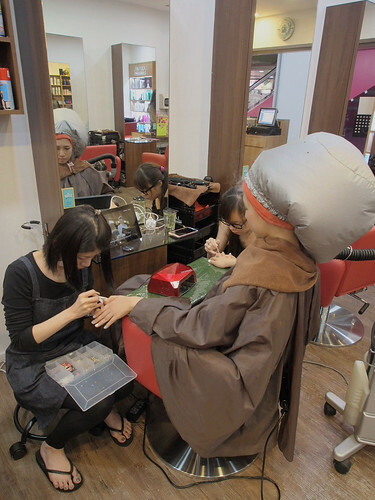 She further expanded the salon to include the nail shop and both shops are linked! Spot anything special about the nail shop?? I was previewing the picture on my camera and went like "Eh what is she watching ah??" It was then I realised that EVERY SEAT IS EQUIPPED WITH AN IPAD!!! So you can watch your favourite shows while doing ur nails!! Since I am quite busy most of the time, I fixed an appointment to do my HAIR + NAILS together at the same time! Anyway, I'm really impressed with their manicure skills! My nails are really tiny btw, but the manicured details were still clear and fine even so! They were really meticulous in doing my nails and also super patient! BIG LOVE! Thank you Lily and Lina for dolling me up that day!! 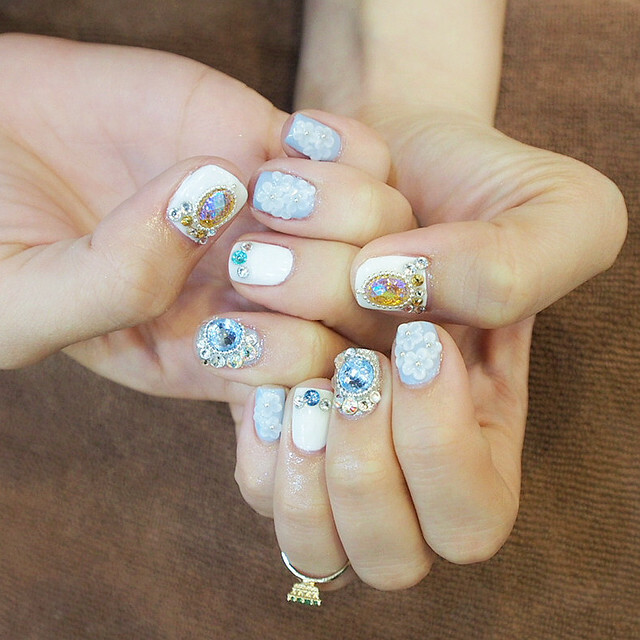 I walked out of the salon with both chio hair + chio nails~ Thumbs up for this one-stop service! 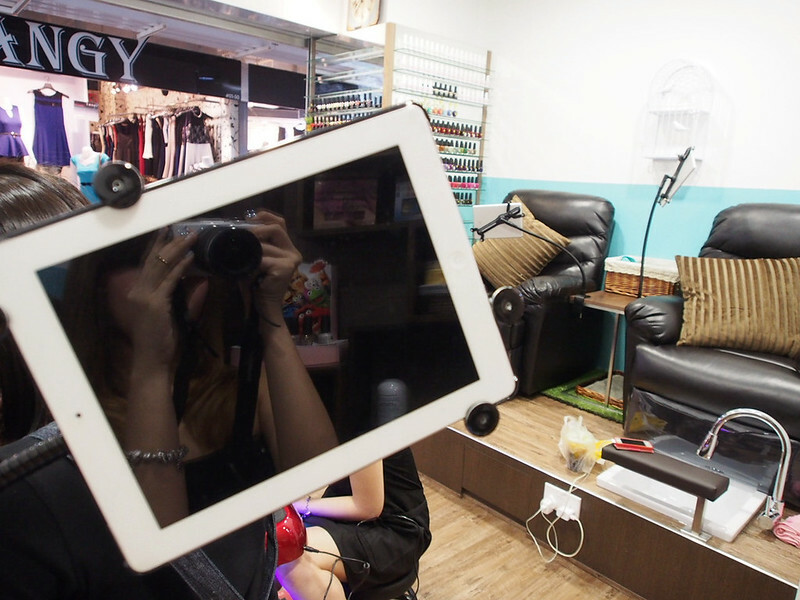 You and I can now have our hair and nails done simultaneously, and it really saves alot of time! 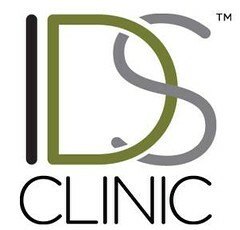 GRAND OPENING PROMOTION ON 5/6/2014 (THURS) 50% OFF ALL NAILS SERVICES ONLY TODAY!!! So quickly book an appointment and make your way down before this awesome deal runs out!! 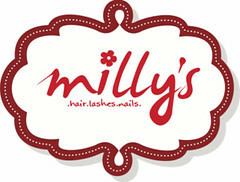 Opening Promotion on other days: CLASSIC GEL MANICURE + CLASSIC PEDICURE @ $75! 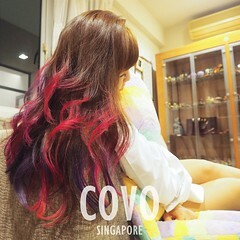 ♢ ♢ ♢ I also tried something new for my hair that day called - COSME CREAM TREATMENT. 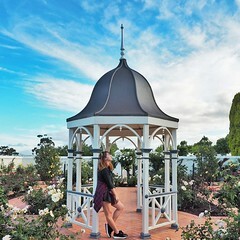 Nice?? Heheh thank you Lily!! 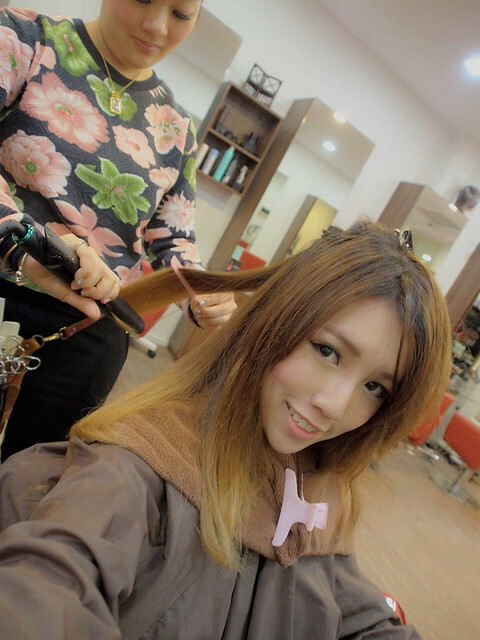 Heading out in abit to Shunji Matsuo again to give my hair a new shade of colour, just in time for my Korea trip! Byebye! !